Do you want to play guitar and not sure where to start? 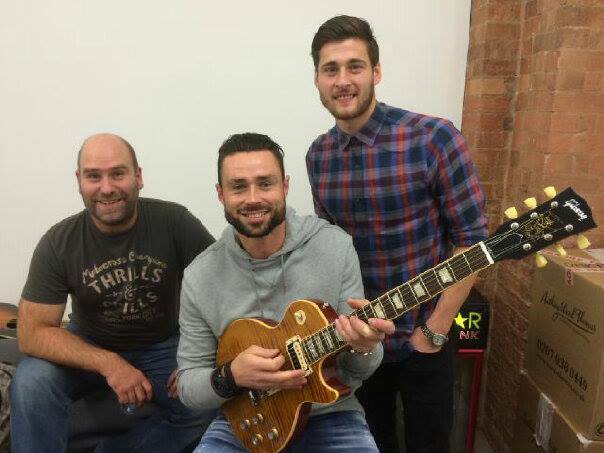 Are you passionate about music and want to play the guitar like your favourite players? Are you looking for leading tuition for yourself / your family? Are you already a guitarist and have hit that all too familiar plateau? Tired of practicing on your own and feeling unmotivated? Looking to learn a 'party piece' for an upcoming occasion? Want to be an amazing player and stand out from the crowd? At IPSWICH GUITAR SCHOOL we have many options to help you along your guitar journey. With over 20 years teaching experience, whatever you would like to achieve on the guitar, we have the solution to help you reach your goals. Watch your skills improve rapidly! What is YOUR ULTIMATE GUITAR DREAM? Most guitar and music lessons will follow the traditional path of private, individual weekly sessions. While this method has it's benefits, it also has many limitations. This is why we have RE-INVENTED guitar tuition as you know it! We have created an inspiring environment where you can not only learn from some of the most experienced players and teachers around but you can interact with fellow students; Jam, create, discover new ideas and explore techniques with a passionate, motivated select group of guitarists just like you! At IPSWICH GUITAR SCHOOL, we focus on YOUR individual goals and ensure you make progress faster than you ever imagined possible. When you come along for your FREE INTRODUCTORY LESSON, we will decide together which of our many options and lesson formats are best for you and your personal goals. “You are a truly inspirational teacher. George just has to ask to learn a tune and he has not only learnt one but two in a session. He is so motivated to practice that it is hard to keep him off his guitar. Not only are you an excellent guitar teacher but you have taught him skills for life i.e self belief,and coping strategies for times when is not feeling so confident. I can not thank you enough for what you have done for George. Thank you for the time you have given to George, for your understanding and insight. Everyone I speak to says the same. Deborah Creed, Mother of George, 10. "Richard's coaching skills have taken me from an aspiring songwriter (starting from scratch), to an accomplished guitar player with a few songs under my belt. His technical understanding of music and ability to answer endless questions has always impressed me. Coupled with a great understanding of people and excellent mentoring skills, his patience and encouragement has driven the best out of me. I can highly recommend him!" Gordon Wright, 35, I.T. Manger. Alex Skailes, Father to vocalist in a band. Book up your FREE INTRODUCTION LESSON now and take the first step to realising your guitar dream.